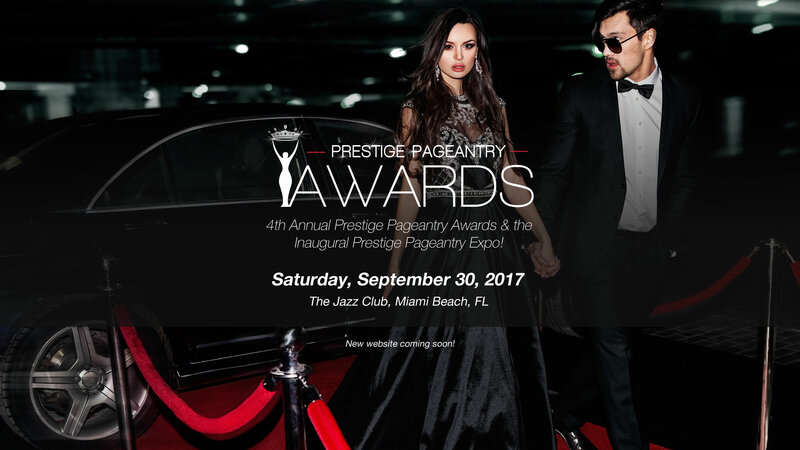 Welcome to the 4th Annual Prestige Pageantry Awards & the Inaugural Prestige Pageantry Expo! On Saturday, September 30, attendees will get the opportunity to meet with and learn from the pageant industry’s most prestige experts. This is a one stop shop for everything pageantry! Attendees will have the opportunity to meet with and purchase from some of the world’s most highly sought after merchants. This one of a kind affair will feature live demonstrations and the latest pageant fashion trends! The evening will conclude with an elegant affair as we celebrate pageantry excellence at the 4th Annual Prestige Pageantry Awards. Join us as we honor those who exemplify pageant excellence and pageant positivity. Declared as “The Emmy’s of Pageantry,” this awards show will feature a collection of the industry’s most distinguished professionals. Do you represent pageant positivity? Are you the best in your profession? If so, visit www.prestigepageantryawards.com/nominations to learn more about being recognized at PPA 2017!